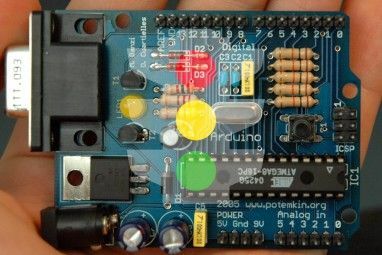 Arduino boards are popular with hobbyists, but aren’t always the right choice for a project. Several popular alternatives exist, including the Teensy range of microcontrollers. 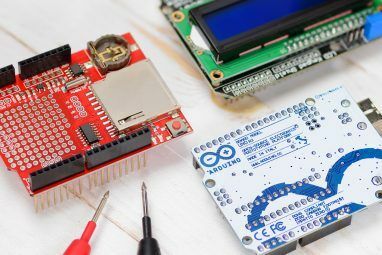 As small as the name suggests, these boards pack a huge punch regarding processing power, making them ideal for some unusual builds. Here are some of the coolest Teensy projects that you can make yourself! The Teensy is capable of producing a huge array of synthesized sounds and has libraries available specifically for creating instruments. YouTube DIY instrument builder otemrellik puts a Teensy 3.2 board to great use in his 3D-printed portable Teensy Polyphonic synthesizer! This build makes full use of the Teensy’s audio capabilities, creating something both simple, and intuitive to use with complex audio synthesis. The system was designed using the Audio System Design Tool provided with the audio library, making it easy to visualize your desired setup. This build is also fully portable, and the Teensy board requires far less power to run than similar Raspberry Pi instruments 5 Musical Instruments You Can Build With a Raspberry Pi 5 Musical Instruments You Can Build With a Raspberry Pi If you're into making music and tinkering with DIY electronics projects, then these Raspberry Pi-based musical instruments will be right up your street! Read More . The second entry on this list is also a synthesizer; while the previous build was small, this one is big—big enough for four people to play at once! This huge sound machine was the creation of Darcy Neal of Lady Brain studios, and Teensy creator Paul Stoffregen. The synth is housed in clear acrylic, with an array of switches, dials, and touch sensors on each side. The project, described as an interactive musical sculpture, was exhibited at the Maker Faire 2017. This collaborative music box was built over several weeks, and you can read the full build documentation. The Apple IIe was the longest lived Apple computer, with production running from 1983 to 1993. It’s no surprise that the computer holds a place in the hearts of many geeks. What better way to feed your nostalgia than with a handheld Apple IIe emulator? This little blast from the past is an ongoing project of Jorj Bauer. 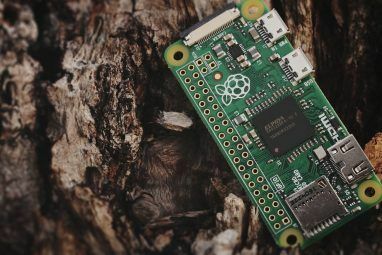 Not satisfied with merely getting the OS up and running, Jorj is now working on improving the display and adding further port support using a Raspberry Pi Zero Getting Started with Raspberry Pi Zero Getting Started with Raspberry Pi Zero Whether you bought a magazine with one glued to the front, or found a kit online, the chances are you're now the proud owner of a $5 computer: the Raspberry Pi Zero. Read More . The important question is, can it run A Bards Tale? There is only one way to find out! To get started making your own slice of the 1980s, head over to his Hackaday page outlining the build. The Teensy board has HID capabilities, meaning it can pose as a USB keyboard. This opens up many possibilities for custom keyboard designs, as Hackaday user Warren Janssens shows with his Ergo60 keyboard build. Already familiar with the layout with the Ergodox and Kinesis Advantage, Warren set out to create a totally custom build with Cherry MX Caps, powered by a Teensy 2.0 board. The keyboard features the familiar two cluster system which is a feature of most ergonomic keyboards, with the option of switching layouts within these clusters at any time by reprogramming the Teensy. Building your own keyboard from scratch gives you complete control over the layout and feel of the board. This is very important if you are someone who uses one all day every day! To get the lowdown on how to build this keyboard, check out the project page on Hackaday. For a good primer on the knowledge you’ll need to program a microcontroller for keypresses, check out our guide to making Custom Shortcut Buttons Make Your Own Custom Shortcut Buttons With an Arduino Make Your Own Custom Shortcut Buttons With an Arduino The humble Arduino can do a lot of things, but did you know it can emulate a USB keyboard? You could combine long keyboard shortcuts into a single custom shortcut key, with this simple circuit. Read More . The same USB HID functionality can make the Teensy board a tool for hackers too. YouTuber Samy Kamkar explains how a Teensy can be used to exploit a computer in a matter of seconds. By emulating the mouse, and programming in the exact keystrokes required to create a backdoor vulnerability to any Apple computer, Samy shows just how easy it is to take over someone’s machine. He then goes on to spoof Facebook on the target computer giving the target computer a completely different version of the site which the user may be completely unaware of. The video goes through the steps required to make one of these devious devices. We would advise not making one, however, now that you know that they exist be sure to lock your computer whenever you walk away from it! Teensy boards were used in this large-scale art installation at Burning Man festival 2013. Thirty towers make up seaGrass, each 30 feet high. They all contain an array of LEDs driven by a Teensy board. The lights are controlled using capacitive touch sensors, microphone inputs, and motion sensors allowing people to influence each ‘blade’ individually. Along with being complex, this build is beautiful. And huge! The project was the creation of a team led by Mauricio Bustos and has been exhibited in part in many other locations. 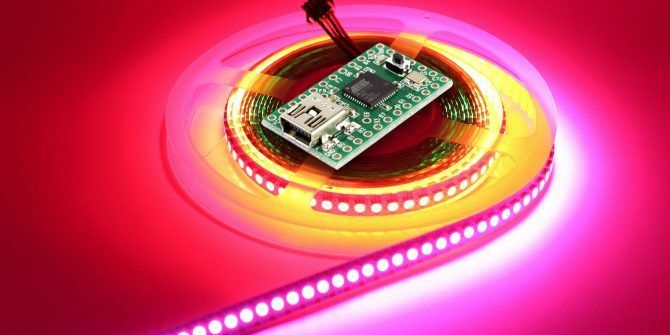 If you want to have a go at making something similarly epic, why not get started with our ultimate guide to using LED strips Ultimate Guide to Connecting LED Light Strips to Arduino Ultimate Guide to Connecting LED Light Strips to Arduino One of the most common LED products is the LED strip. In this article, we will cover how to set up the two most common types with an Arduino. Read More ? No, that’s not a typo! This last project shows how the Teensy can be used to reimagine already existing devices. In this case, in the field of astronomy. A Telrad is a scope that uses red light and mirrors to project a bulls-eye image into the distance, helping star gazers keep their place in the night sky. Hackaday user Christoph took this idea and modified it to work with a Teensy board and a small OLED screen. The functionality of this build gets even more complex, with an accelerometer reading the current telescope direction. That data is used to compute target locations in the sky which are shown and updated in real time on the screen. While this particular build is very specific, the elements involved in it could be used for a whole variety of different projects. The full build with detailed logs is available on Christoph’s Hackaday page about the project. The Teensy series of microcontrollers are a great alternative to Arduinos. They can be the perfect choice for when a Raspberry Pi might be overkill or when you aren’t sure which controller to use. We’ve taken just a brief glance at the many fantastic projects out there featuring the Teensy, and many similar Arduino projects Get Inspired by 6 of the Coolest Arduino Projects Ever Get Inspired by 6 of the Coolest Arduino Projects Ever Like most people, I remember the first Arduino project I made. I also remember thinking "what's next?". Read More could be easily done using a Teensy instead. Explore more about: Arduino, Single-Board Computers, Teensy.